Apple announces the much-anticipated MacBook Air with Retina Display at an event held in New York City. This entry-level machine received a major spec bump and also a few changes in its design. The first major change is the Display. The New MacBook Air comes with an all-new 13.3-inch Retina display with bezels are thinner by about 50 percent. It has a resolution of 2560×1600 Pixels with an aspect ratio of 16:10 and also has an Ambient light sensor. 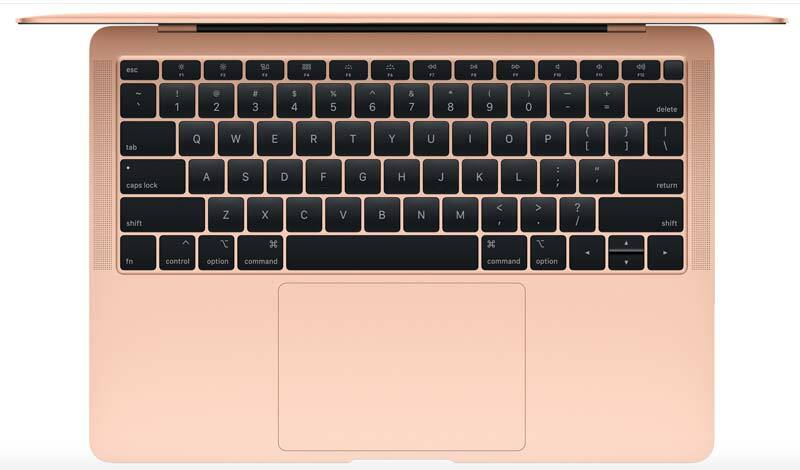 Another major addition to the New MacBook Air is the TouchID which is placed on the Right side of the Function Keys row. Similar to MacBook Pro, the new MacBook Air is also equipped with a T2 security chip that protects Touch ID information and also ensures that software loaded during the boot process has not been tampered. The T2 Chip also has an SSD controller for data encryption on the SSD. Coming to the performance, the MacBook Air is powered by the 8th Generation Dual-core Intel Core i5 Processor with up to 16GB RAM onboard. The MacBook Air with Retina Display is offered in three shades – Space Grey, Gold, & Silver and available to pre-order in the U.S. starting 30th October 2018. It will be available in Apple retail stores and through Apple Authorized Resellers starting Wednesday, 7th November 2018. The 128GB variant priced at $1,199 and the 256GB variant costs $1,399. In India, the new MacBookAir is priced at ₹1,14,900 for the 128GB storage variant and ₹1,34,900 for the 256GB storage variant. Both will be offered in Space Gray, Gold, & Silver colors and available to purchase through Apple Authorized Resellers starting 7th November 2018.